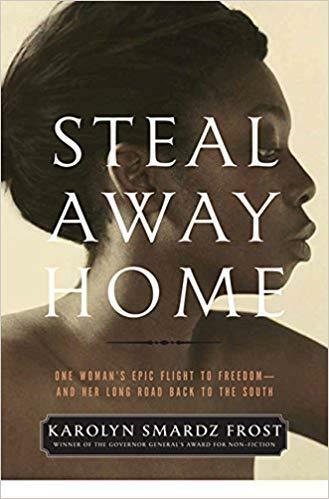 For readers of The Underground Railroad, The Known World, Bound for Canaan and The Book of Negroes comes the harrowing story of fifteen-year-old escaped slave Cecelia Reynolds, who slips away to freedom in Canada only to return to her childhood home as a free woman many years later. In this compelling work of narrative non-fiction, Governor General’s Award winner Karolyn Smardz Frost captures Cecelia’s epic story of courage. She was a teenager when she made her dangerous bid for freedom. Escape meant that she would never see her mother or brother again. She would be cut off from Fanny, the young mistress with whom she grew up, but who also owned her. This was a time when people could be property, and when a beloved father could be separated from his wife and children, to be auctioned off to the highest bidder. Cecelia found a new life in Toronto’s vibrant African-American expatriate community. There she fell in love with her dashing rescuer, and initiated a correspondence with her former owner that would endure for more than two decades. Widowed, she braved the Fugitive Slave Law to cross back into the United States. When she eventually returned to the Kentucky she had known as a child, she found her home much changed in the wake of war. Reunited with her mother, Cecelia also renewed her complicated relationship with her former mistress. After years apart, the two lived within a few blocks of each other until Fanny’s death. Smardz Frost’s impeccable research and vivid description takes the reader through the Civil War, the shameful backdrop of slavery and the very real and stirring tale of one woman’s struggle for freedom—and her return to her former home on her own terms, despite the risk involved.